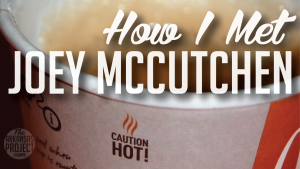 Yesterday I wrote about some correspondence I had with Joey McCutchen. McCutchen, a trial lawyer in Fort Smith, has a deep emotional attachment to our justice system, but a less than deep ability to understand how that system works or discuss it with others. (Here’s his law firm’s vaguely disquieting TV commercial, in which he explains – a bit intensely for my taste — that he has “a commitment to personal injury”; I am pretty sure he’s trying to convey that he wants to represent injured people, not that he wants to injure more of them.) Earlier this year, McCutchen started sending me some unhinged emails about tort reform, and I was reminded of how I first met him. Now it is true that Ms. Liebeck was burned quite badly by the coffee (spilling hot coffee on yourself will do that, especially when you then remain seated in a puddle of hot coffee for 90 seconds, as she did), but this doesn’t seem to have anything to do with what I thought was the central question of the case: who was at fault? (That is because, in my opinion, who was at fault determines who should pay.) After McCutchen played his video, I asked him if he thought that Ms. Liebeck should have sued the manufacturer and distributor of the pants she was wearing (which spread and absorbed the coffee, worsening her injuries) or the Ford Motor Company, which built the car she sat in (which could have provided cup holders, which might have prevented her from placing the coffee between her legs) as well – after all, the argument that their products caused the injury is about as strong as the argument that McDonald’s did. Curiously, McCutchen never answered my question. Instead, he distributed many copies of a document to the audience which purported to be proposed state legislation to abolish Second Amendment rights. Those papers accomplished his purpose of inflaming his audience. He then explained that the documents he had distributed were forgeries, and that there was no proposed abolition of Second Amendment rights — but that tort reform would abolish Seventh Amendment rights, and that the Seventh Amendment was just as important as the Second Amendment, and therefore it’s our patriotic duty to resist tort reform of any kind. Now, that argument might sound persuasive as long as you don’t actually think about it. People who actually understand how our jury system works, however, are well aware that juries are just one part of a balanced system of justice, and that they are not actually supposed to have absolute authority, and that a refusal to assign absolute power to any one part of government is entirely consistent with the Seventh Amendment. Under our system, juries are part of an elaborate system of checks and balances, and people who understand the justice system understand that the jury’s role is not absolute. In fact, in Ms. Liebeck’s case, the presiding judge, Robert H. Scott, determined that the jury went out of bounds when calculating the size of its award, and that’s why Judge Scott reduced that award by nearly 80% — he reduced a $2.9 million verdict to $640,000. This kind of judicial decision – reduction of an overly sizable jury award – is called remittitur. What Judge Scott’s decision demonstrates – to me, at least – is that that particular jury wasn’t exactly a model of wise collective judgment. Most people who have studied the civil justice system understand and appreciate the role of remittitur, because they understand that the people on juries — just like people anywhere else — occasionally get things wrong. I’m not sure that Joey McCutchen agrees, because he seems to be under the impression that the procedures that Arkansas will consider this November for balancing the role of the jury are completely immoral, un-American, and so forth. But McCutchen is a fevered email correspondent, and his enthusiasm for his views is sometimes larger than his understanding of the law. When he started emailing me earlier this year, I had hoped that his emails would make more sense than the extremist views and the forged documents that he previously circulated at his talk in Saline County. (Lawyers can get in real trouble if they submit fake documents to a court; this is apparently not true for fake documents submitted to a political gathering.) My hope that McCutchen would eventually become more rational was, sadly, not fulfilled: the correspondence he now regularly sends me gets, inch by inch, ever crazier. I had planned to write today about how generous he is with his time and his thoughts when corresponding with me. But I think I’ve written enough for today, so I’ll plan to discuss some of his more remarkable emails tomorrow. Tomorrow: even more breathtakingly brilliant legal analysis from my least favorite correspondent, Joey McCutchen!